A 1×9 specific Song 29 with a very tasty finish. 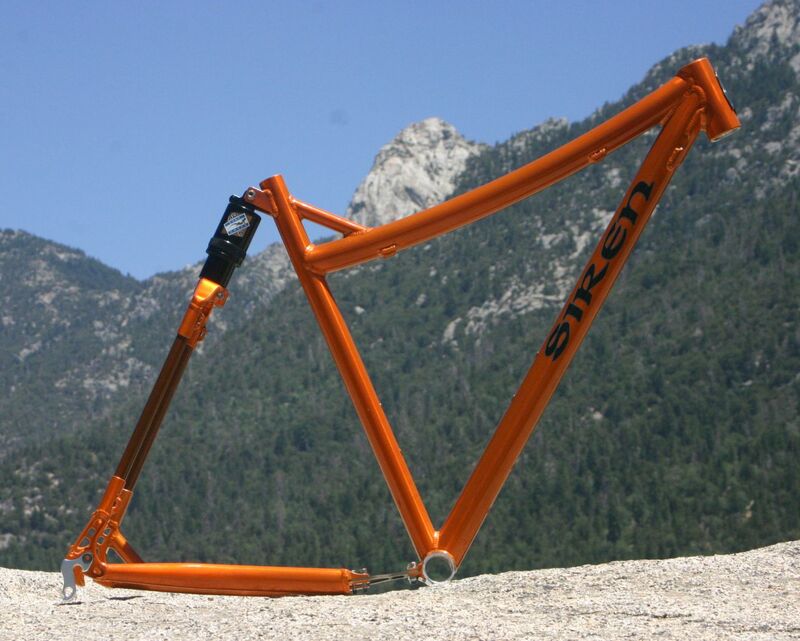 We finished her off with a translucent tangelo powdercoat (tangy!) 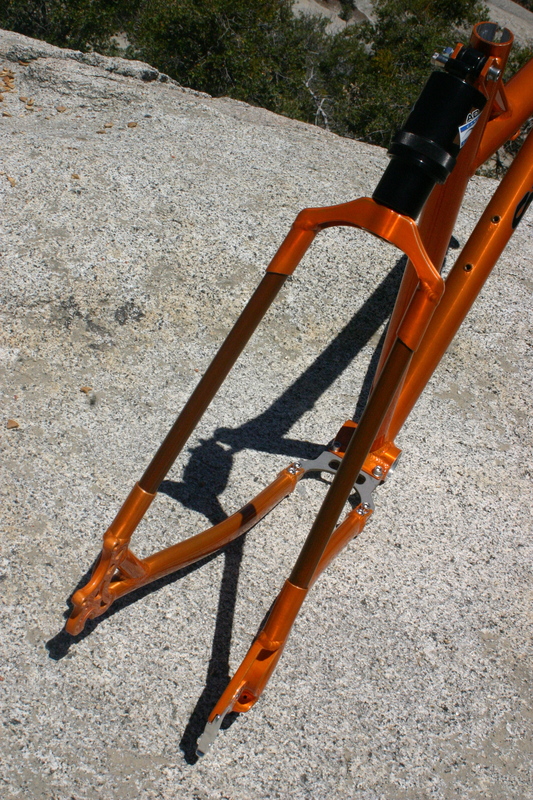 and complemented the titanium seatstays with a slightly darker shade.